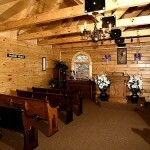 Get married in the cabin or room of your choice. (You Choose: Formal or Informal, Decorated or Natural) NO RULES: Have it YOUR WAY (This is YOUR WEDDING) No Hurry and therefore no stress. This is by far the most spectacular “location” wedding for groups of 20 or more. We have accommodated over 100 at each of our three gorgeous garden wedding locations. All three offer on premises reception area from 25 to 200. We have several reception venues as well as our own reception hall. All are excellent and great values. 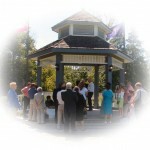 This is a memorable ceremony which includes special vows and a certificate suitable for framing. This is something new we are offering. 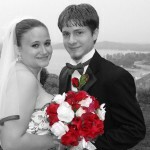 Your Wedding recorded in High Definition DVD and UPLOADED TO YOUTUBE FOR FRIENDS AND FAMILY TO SEE The cost is $100. 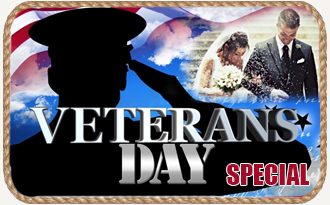 We will continue to offer the unedited DVD version you receive at your wedding for $95. 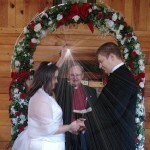 Smokey Mountain Wedding in Gatlinburg, Pigeon Forge Wedding in Your Cabin or Outdoors by Waterfall $100. Full Packages Available Including Reception, Chapel, Gazebo and Lawn Garden. 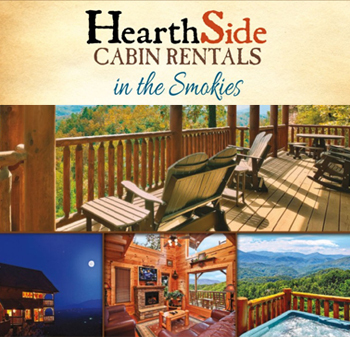 The Smoky or Smokey Mountains of TN is the most romantic place in the south to be married. 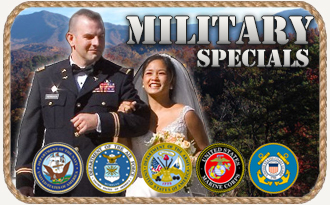 We perform weddings in Gatlinburg, Pigeon Forge, Sevierville, Townsend, Cobbly Nob and surrounding areas. We also offer honeymoon packages including cabin. We are a one stop service from the simple wedding to the full packages which include reception, limo, horse and carriage ride, flowers, bouquets, professional photographer, personal wedding web page, video and DVD and even a “Just Married” flag for your car. 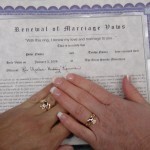 It is very easy to obtain a marriage license in Tennessee. It takes only about 10 minutes. All that is required is a photo ID. We recommend Sevier County which is Gatlinburg, Pigeon Forge and Sevierville to obtain your wedding license. You receive immediately your certificate which the minister signs and you can take with you. Not all counties do that. Most mail your certificate to you. 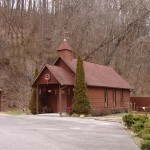 Over twenty thousand weddings a year are performed in Gatlinburg and Pigeon Forge area of Sevier County. This is partly due to the ease of getting a marriage or wedding licenses. 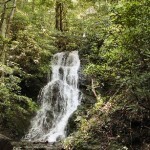 However, the best reason is the Smoky or Smokey National Park which is the most visited National Park in the USA. Moe than 10.5 million visitors come here a year. It is so beautiful here. There are many gorgeous, romantic places in the National Park to be married. Welcome to Smoky Mountain Weddings. We are also a ministry here to serve you. Gives us your heart’s desire and we try to make it happen. We conduct our ministry on a “first come, first serve” basis. 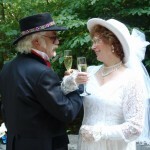 In most cases we can accommodate the date of your Gatlinburg or Pigeon Forge Wedding. We may have to juggle your time. We may be the cheapest wedding service, but we are by far the best. The reason why we are so cheap is because this is a ministry for us as well as a business. Our ministers make $50. The remaining fifty dollars goes for website advertising, phones etc. Hundreds of brides and grooms rave about our caring service. We stay in contact with many of our married couples and they refer a lot of couples to us. 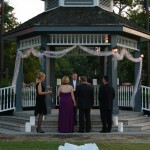 We have even done marriage renewal of their vows to some. We offer many wedding packages. However, if the wedding packages do not appeal to you, create your own wedding package. 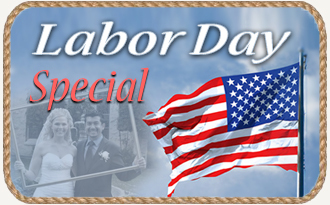 Please visit our extras page for all that we offer. We look forward to serving you and making this the most memorable day of your life. 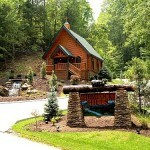 Smokey Mountain Wedding in Gatlinburg, Pigeon Forge Wedding in Your Cabin or Outdoors by Waterfall $100. 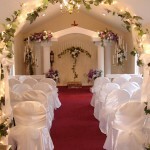 Full Packages Available Including Reception, Chapel, Gazebo and Lawn Garden.